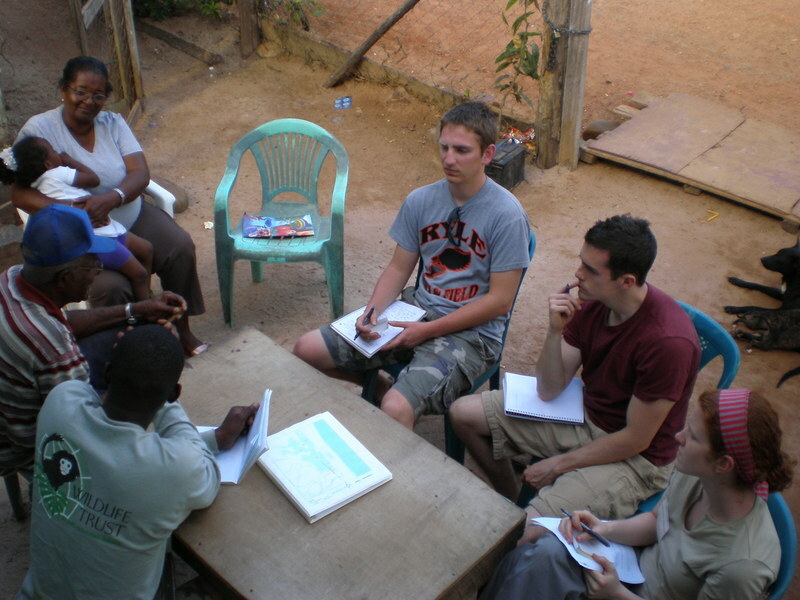 The Speed School of Engineering became involved in the ISL Program in 2006, with an exploratory trip by Civil and Environmental Engineering graduate student Erin (Baker) Wagoner to gather water quality data in the small village of Gales Point, Belize. A collaborative effort was made with environmental scientists at Western Kentucky University, the Wildlife Trust, and residents of Gales Point to collect samples and train on data collection procedures. The residents of Gales Point suffer continuously from the effects of waterbourne diseases and have concern for the negative economic impact that pollution could have on growing eco-tourism. 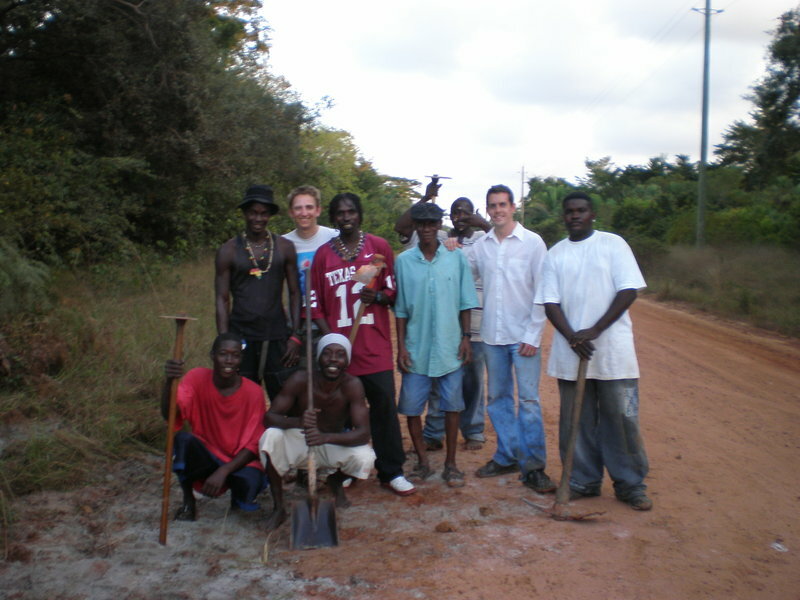 In 2006, the Speed School of Engineering established an International Service Learning course taught by Dr. D. J. Hagerty. The course included students from civil, mechanical, industrial and bioengineering departments and focused on analyzing existing data, studying socio-economic impacts, and proposing interim and long-term solutions for water quality issues related to the water supply and wastewater systems. The course incorporated guest speakers and practitioner mentors from the Louisville Water Company, University of Louisville, Western Kentucky University, Biohabitats, CH2M Hill and FMSM Engineers. This cooperative effort has fostered the development of creative low-cost, low-impact solutions and demonstrated the impact of socio-political issues on projects to students. Thanks to all the volunteers who assist and support the ISL engineering program! In March 2007, two Speed School students, Brian Tate and Ben Myser, accompanied by practitioner advisor Erin Wagoner of FMSM Engineers returned to Gales Point. The engineering group met with the Gales Point Water Board to discuss short term and long term potential projects that could improve the quality of life of people in the community. Numerous problems were identified, including a broken chlorination pump, breaches in the main water supply line, and an inadequate open intake pipe pulling water from the source water stream. The broken chlorination pump was of great concern, as untreated water was being pumped directly to residential homes. In addition, cross-contamination was occurring at several leaks in the main water line, causing ponding and runoff to develop on the dirt roadway, a main access road to the village. 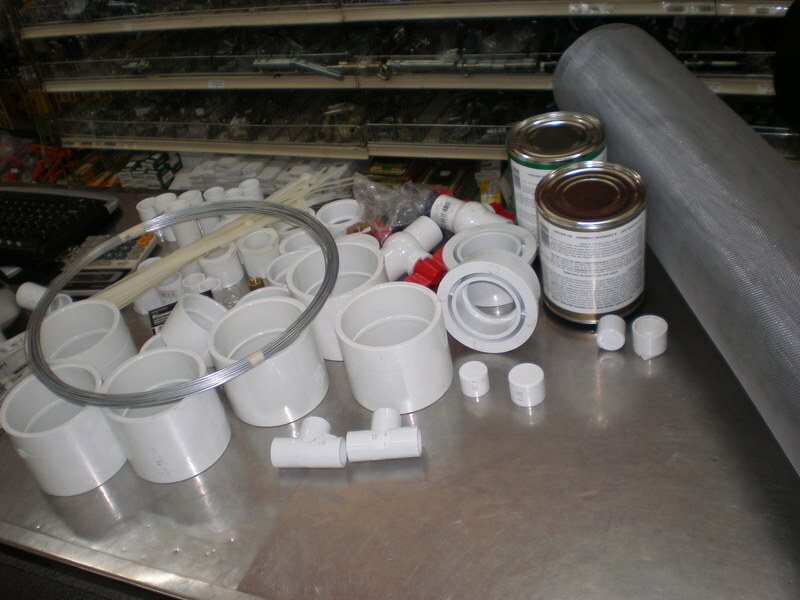 The intake pipe had no media to filter debris or organics from entering the system and had no protection for the pump. The group presented these issues to their peers and raised nearly $500 US ($1,000 BZ) from students and faculty in Gales Point to fund the identified projects. 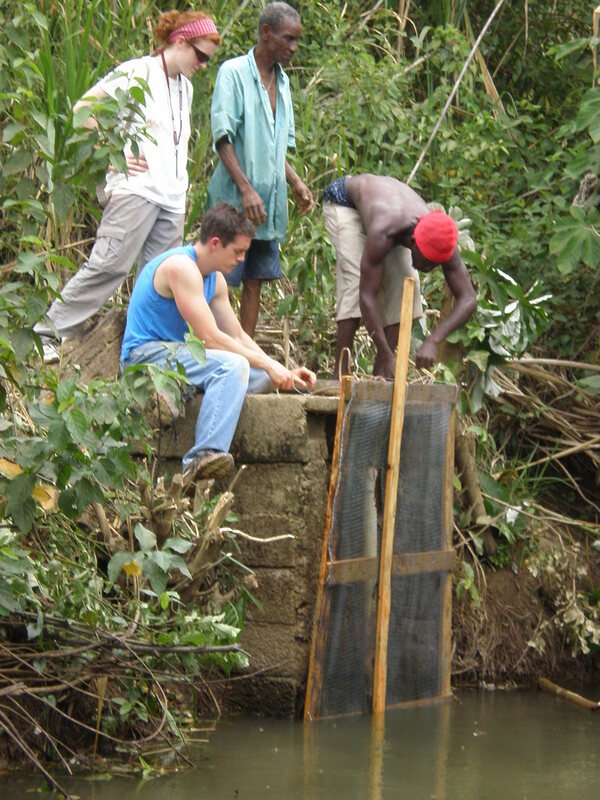 After traveling to Belize City to acquire the necessary materials and equipment, the group worked with numerous volunteers from the village to replace three sections of the main water line, repair the chlorination pump and implement a two-stage filter to screen debris from entering the system. 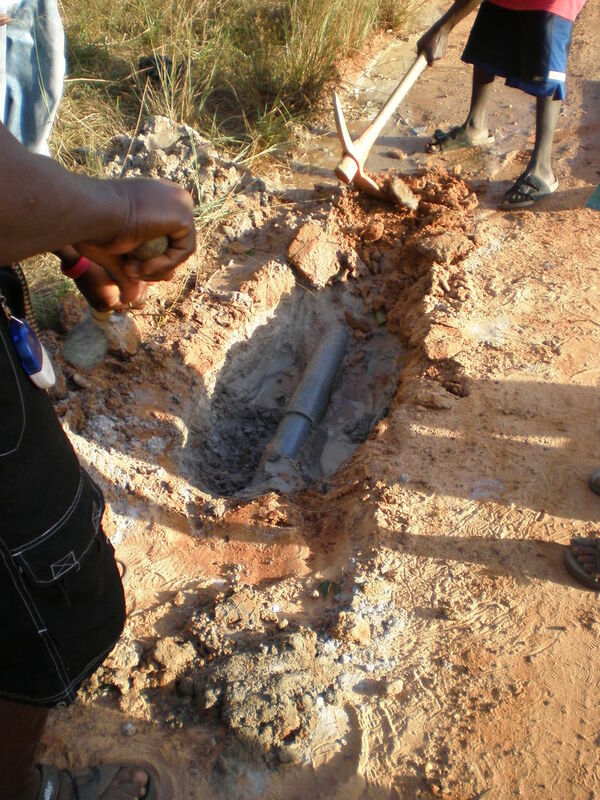 Engineers involved community stakeholders before, during and after the improvement and repair process. Water quality issues were addressed at a community forum, where engineers presented health and environmental impacts to residents. The event facilitated an open dialogue among residents and engineers to determine concerns and perceptions of the current and proposed projects. 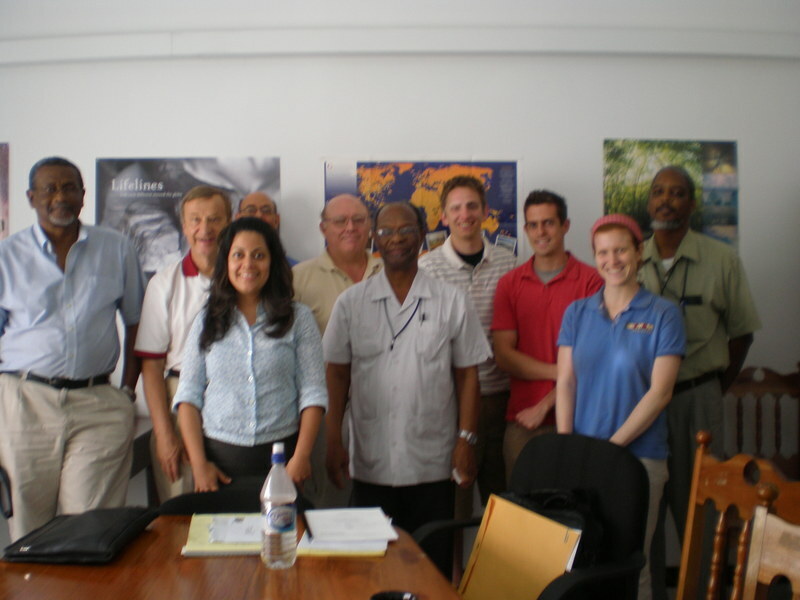 The group was invited to meet with the Center for Climate Change in Belmopan, and successfully formed a partnership with researchers for support of future projects in Gales Point. Future projects may include pilot composting or septic systems, water supplied by a groundwater aquifer, and further baseline water quality monitoring and training. The course and experiential education opportunity has allowed Speed School students to understand the value of sustainable systems to support water needs. Continuation of the program will support water quality improvements abroad as well as provide significant educational benefits for students by enhancing their knowledge of community relations, water quality issues and solutions. 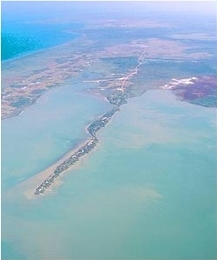 Gales Point is a small village remotely located in the Belize district, approximately 30 miles south of the commercial center and most populated city in the country, Belize City. The village of approximately 350 people is located on a narrow 2-mile peninsula surrounded by a brackish lagoon. Its location provides easy access to the northern and southern lagoons and the Caribbean Sea. The lagoon and wetlands support a rich variety of marine fauna and is home to endangered species including the West Indian manatee and Hawksbill turtle. Gales Point was first settled in the 1700's when escaped slaves from a revolt in Belize City came to the peninsula. The people of Gales Point are called Creoles, originating from African slaves and English colonists. Today, it still boasts traditional drumming and dancing. Residents are farmers and fishermen. More recently, residents have become involved in eco-tourism to provide income to the community.